One of the most frequent questions I get is how to revise effectively for GCSE and A Levels. My answer is simple: The Power Hour. I was using this revision technique years ago when I was at university to great effect. However, I first hear the term ‘Power Hour' when Martin Griffin (co-author of The A-Level Mindset) used it on the live-streamed workshop we did together. (You can sign-up to watch the replay for that here – it's well worth it, if you've got an hour to spare). Let's start with a list of where people go wrong with their revision. Are you ready? The beautiful thing about the revision power hour is that it addresses all of these problems head-on. Stops you from spending too long in one sitting on revision techniques that don't work. You mix up your activities to make it more likely you'll remember stuff when you've finished your revision session. You don't have to revise for too long. It's a maximum of one hour, but you can break it down into 20 minute chunks with 5 minute breaks between each session. (Although you can extend it for essay based subjects like English Literature). You're forced to use an active revision technique: writing down what you know and analysing your work to see how many marks you've earned. Makes you repeat the things you're learning in different ways so you're more likely to remember them. How do you do a Revision Power Hour? 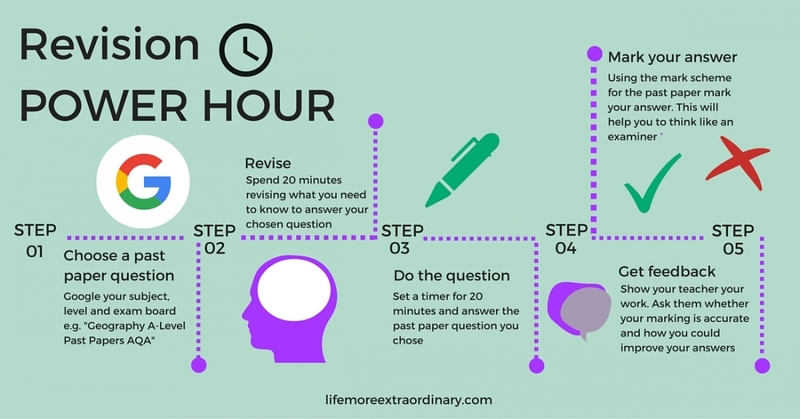 I've outlined how to do a revision power hour in the infographic. Below, I've written out how to do it with some helpful links to make it easier for you to get started. Use Pinterest? Pin this graphic so you've got it to refer to easily whenever you need it! Click here to download the infographic, print it and stick it somewhere useful. First, you need to find a past paper question to answer (and the mark scheme). You'll use Google to do this. Pro tip: spend some time printing off all the past paper questions for each subject and filing them neatly so you've got them to hand. Set a timer and spend 20 minutes revising what you need to know to answer the question you've chosen. This might be anything from quotes for your closed book English exam to facts for science of Geography. If you're looking for ways to revise here are 6 revision techniques you might like to try. There are another 40 in my book, The Ten Step Guide to Acing Every Exam You Ever Take. Set the timer again for 20 minutes and answer the past paper question you chose. Use the mark scheme you found in step 1 to mark your work. This step is crucial. 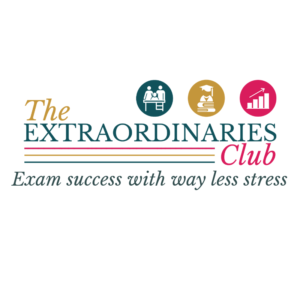 If you really want to excel in your exams you need to be able to think like an examiner. Marking your own work is essential if you're going to do this. If you're unsure of how accurate your marking is or you want to know how you can improve show your work to your teacher. Ask them for feedback on how to improve. Again, this step is really important if you want to make continuous improvements to your exam technique (and therefore your marks) during the revision period. What if I run out of past papers? This can happen if you do a lot of power hours. However, when you've done that many past papers you're in a great position. By now, you should be able to think like an examiner and it will be easy to invent your own questions. I've got a resource that will show you just how to do that. When you do revision power hours consistently you will soon see your marks and your confidence increase. You'll be walking into all your exams with your head held high, impatient to show off what you can do! I've created a special download for you that contains the infographic and the detailed instructions. You can download it, then print it and stick it somewhere useful when you click here. 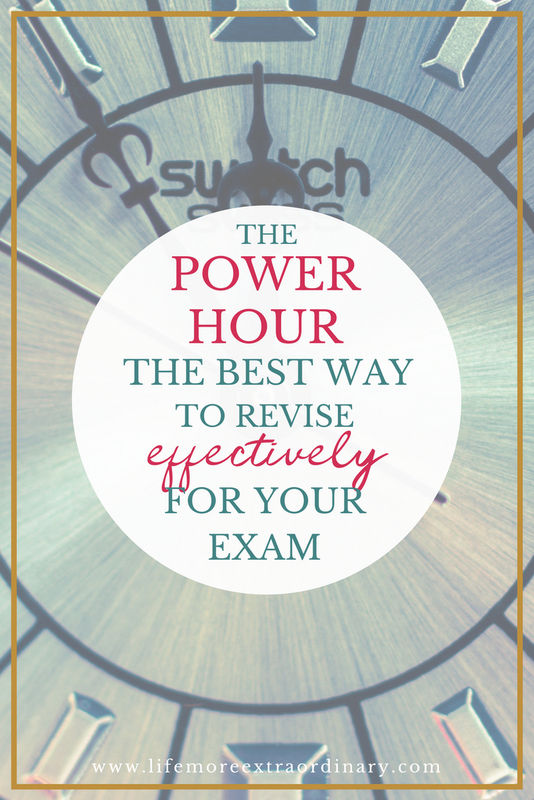 I've shown you how to revise effectively for both your GCSEs and A Levels. Now it's over to you. Make a commitment to yourself to do your first power hour in the next 24 hours. I promise you it will feel good! Need more help with revision and exam techniques? Your personal data will be treated with respect.